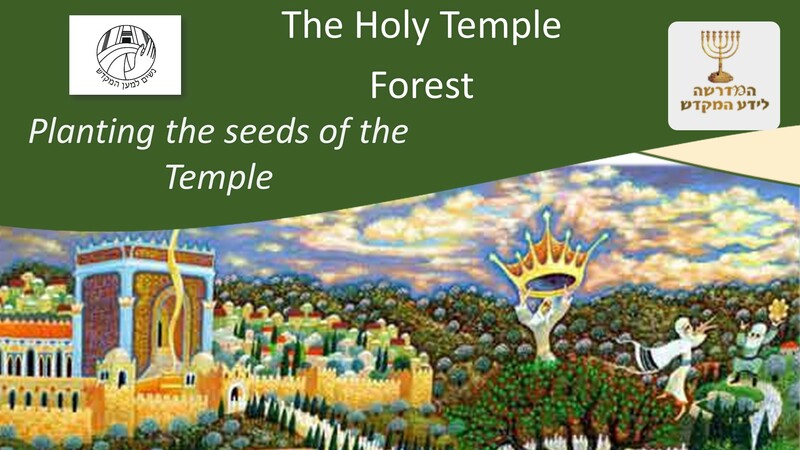 So what is THE TEMPLE FOREST? It all starts in the days of Abraham- when the Tora says that he planted an 'Eshel' in Beer Sheva, the Midrash says that he planted Ceder Wood for the Miskan. These were taken by Yaakov to Eygpt and they were used for the Mishkan. From them we can learn that even though the goal looks far, we can plant the seeds (with both meenings) for the Temple. We also know that in the time of the second temple, when thay were missing wood for the Mizbeach, some familys started to donate wood to the mikdash every year. Thank you for placing a Donation for The Temple Forest. Your Donation will be used for planting trees and plants suitable for building the Holy Temple or For the Temple service.